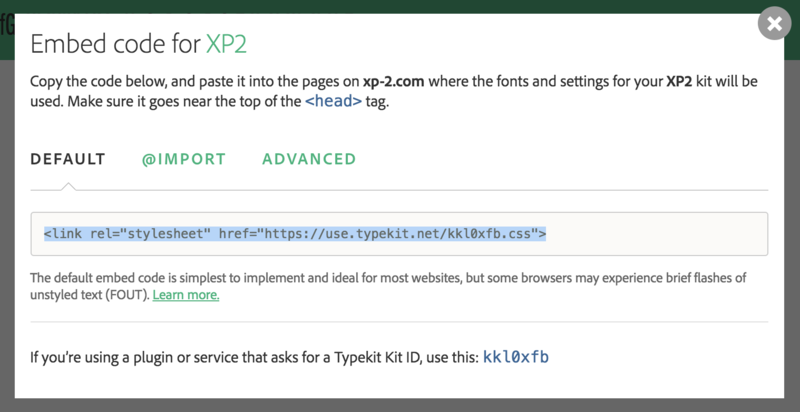 Once you've created your "kit" on Typekit.com, click the "Kits" link toward to the top-right of the page, then click "Kit Editor". Click "Embed Code" at the top-right of the page, and copy the code in the "Default" tab.  In another browser window, login to your 22Slides control panel, click "Settings", then "Custom Code", and paste the embed code into your "Head" field. 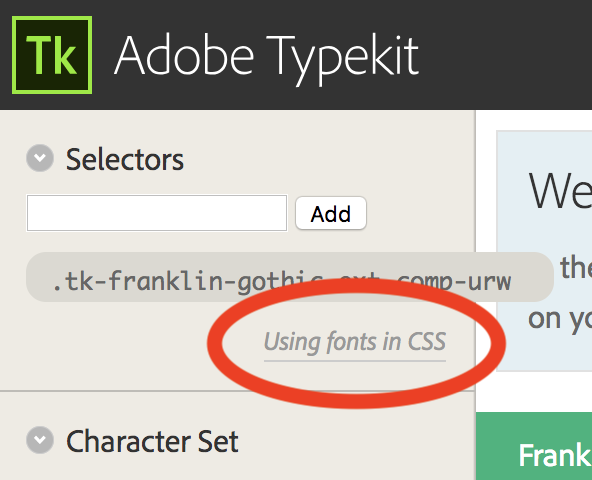 Go back to your Typekit account, and click "Using fonts in CSS" toward the top-left of the page. body will need to be replaced with the CSS selector of the element you'd like to target with this font. Also, "franklin-gothic-ext-comp-urw-1","franklin-gothic-ext-comp-urw-2" will need to be replaced with your own font-family value. The font-family value provided by Typekit. 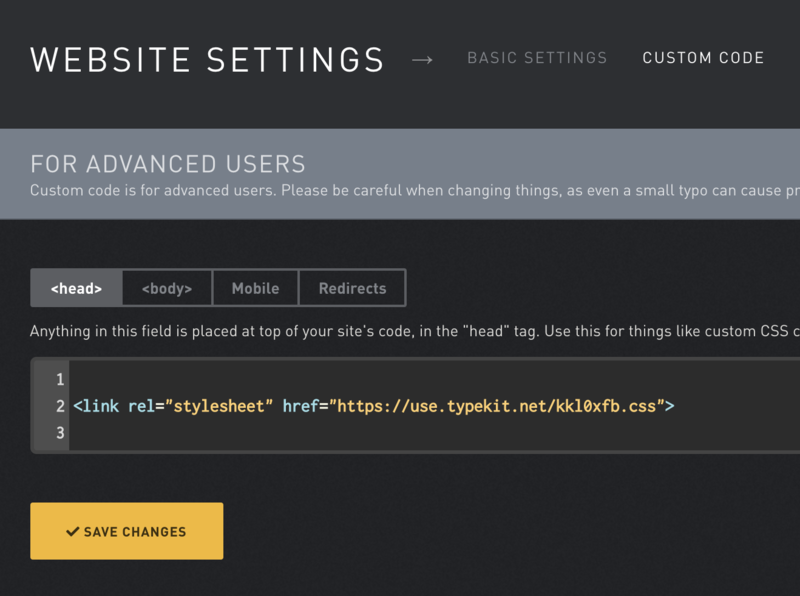 A list of the elements on your site you'd like to use the custom font, like "Site title, navigation, footer, and text pages", or something similar.